Northern Arizona University has a long history of support for military and veteran students dating back to the mid-1940’s. During this era, Northern Arizona University (NAU) was called Arizona State Teaching College, recognized the importance of young people with aspirations of military service. 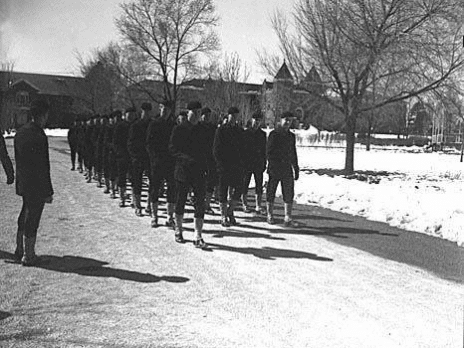 NAU, competing with over 1,600 colleges and universities across the United States, secured an opportunity to serve as a training site to grant bachelor’s degrees to future Naval officers through a program called the V-12 Navy College Training Program http://library.nau.edu/speccoll/exhibits/louies_legacy/v12.html. NAU answered the call to help the Nation produce officers for the military services in support of the World War II efforts. Some records suggested those very same graduates of the V-12 program returned to the educational institution at their last duty station to pursue degrees when their tour of duty ended. One may surmise this was the early vision for today’s Veteran Benefits Administration. Northern Arizona University has grown over the past decades and still sponsors a strong, supportive and viable Veteran and Military outreach philosophy. NAU has an active Department of Defense Voluntary Education Partnership Memorandum of Understanding. NAU continues to serve its military, veteran and the dependent populations globally. NAU recruits military, Guard and Reserve, veteran and military-affiliated dependents thorough multiple departments i.e., Admissions, Registrar, Financial Aid, and Student Life just to mention a few. However, the Veteran and Military Services department provides a broad spectrum of services specific to our military, veterans, and military-affiliated dependents. One such service includes a robust military outreach component that focuses on Arizona military and veteran activities on military installations and on community college campus across the state. A secondary focus entails traveling to military installations where military education fairs are hosted and similar events outside Arizona when those opportunities present themselves. 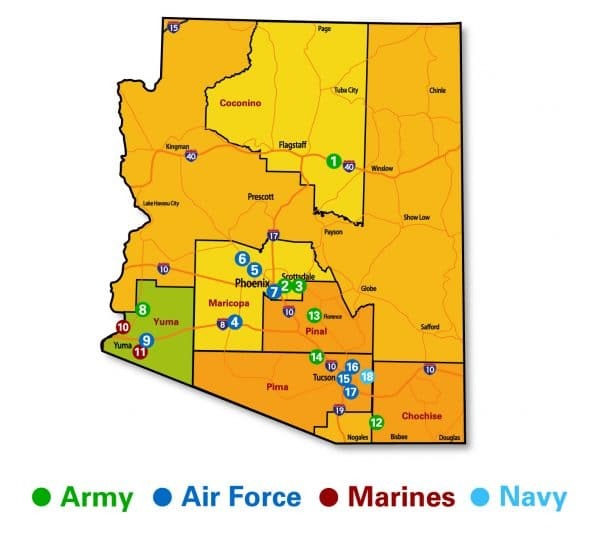 Military and veteran outreach is currently concentrated in the lower regions of the state primarily in regions like Central Arizona in and around Phoenix, Southwest Arizona in and around Yuma, and Southeast Arizona in and around Tucson and Sierra Vista. In these regions one will find the majority of military installations; Air Force, Army, Marine, Navy and Guard and Reserve. Outreach staff are located in Phoenix, Tucson and Yuma to conduct activities specific to the region. From these three base locations, staff are able to visit military installations and conduct military and veteran outreach and recruitment activities on community college campuses in the region. Additionally, staff extend their outreach recruitment opportunities by attending events such as: Yellow Ribbon, drill weekends, family appreciation day events and, to work with the various military recruiting offices across the assigned region. Typically, when military or veteran outreach opportunity avails itself beyond the three primary regions, the staff member assigned to the Phoenix area in collaboration with Flagstaff Campus military and veteran services staff determine how best to support that activity. Budgeting dictates the ability to visit military installations outside of Arizona and the potential for expanded student populations.